Shelley's House: An EGGceptional Gift! Bill and I saved opening our presents to one another and from friends for Boxing Day. He bought me mostly books of course and some of my gifts for him were more appreciated than others. However we bought got an eggnormous kick out of our present from Vivien and Steve. 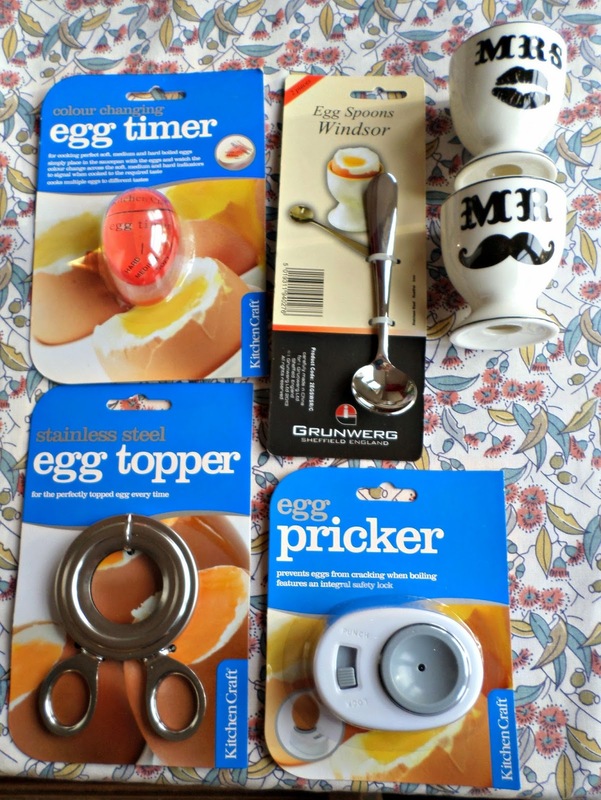 They had the eggstraordinary idea of giving us a half dozen items relating to cooking eggs. I didn't know most of these things eggisted and will have to have Bill help me eggsperiment in using these eggsotic implements. I believe that most may be eggsamples of how Brits eat their boiled eggs for breakfast. 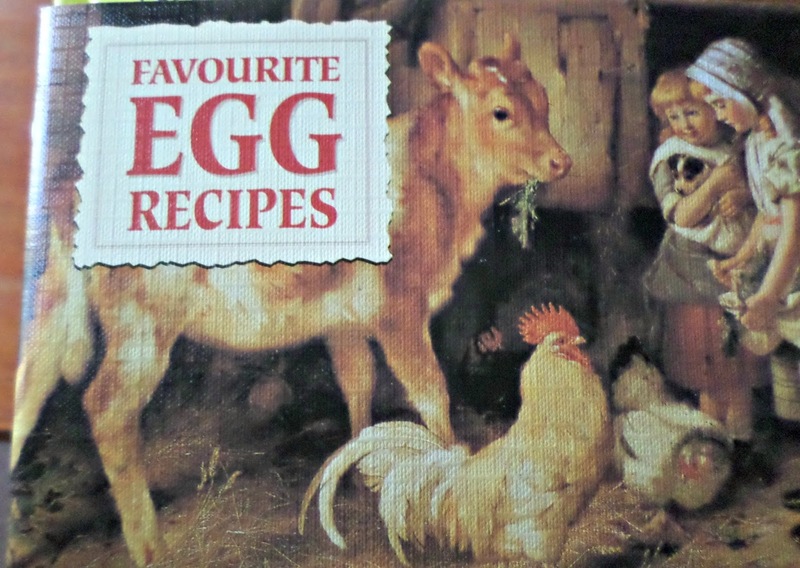 I just tend to fry, poach or scramble my eggs, so I shall have to eggsamine the eggciting recipes that are in the book included. I can't wait to eggspand my repertoire for cooking this eggcellent and ineggspensive source of protein. You might guess some of the terms I used in my thank you note; my only eggscuse is that Vivien 'started it'. Imagine my eggnominy at having given them my usual selection of boring food and drink; I shall definitely have to eggsplore more interesting eggsamples of presents next year!